Renewable energy has certain unique characteristics, caused mainly by the geographic dispersion of these power generating facilities, the variability of production determined by changing weather conditions, the uncertainty in its prediction and the technology used by many of the generators. All these variables must be taken into account to ensure the quality of supply as well as the proper balance between electricity production and consumption. In order to integrate the maximum amount of generation from renewable energy sources into the electricity system, whilst ensuring quality levels and security of supply, in mid-2006 Red Eléctrica designed, put in place and started the operation of the Control Centre of Renewable Energies (Cecre), a pioneering centre, of world reference regarding the monitoring and control of renewable energies. The Cecre is an operating unit integrated in the Electricity Control Centre (Cecoel). According to the Spanish regulation first established in RD 1454/2005, subsequently in RD 661/2007 and ratified by Royal Decree 413/2014, facilities with a power capacity greater than 10 MW are obliged to be registered and sign up with a Generation Control Centre (GCC) previously authorized as an interlocutor with Red Eléctrica as System Operator (SO). RD 413/2014 establishes that as of June 1, 2015 this power capacity limit is reduced to 5 MW. Therefore, the Cecre monitors and controls production from renewable generation facilities, or groups of facilities, with a power capacity greater than 5 MW. The generation control centres, having sufficient control, command and monitoring capacity to act as aggregators of information, which are authorized as interlocutors with the SO provide the Cecre with real-time information every 12 seconds about each facility through real-time telemetry regarding the connection status, the production of both active and reactive power, as well as the voltage at the connection point. All this information is collected by the control system of Red Eléctrica de España making it accessible to the Cecre operators 24 hours a day, every day of the year, thus allowing real-time analysis of the current scenario to be performed, foresee operational measures necessary for the system to remain in a safe state and issue, if unacceptable situations in the system are detected, orders to non-manageable renewable generation facilities limiting their production and that shall be fulfilled in less than 15 minutes. In this way, increased integration of renewable energy into the system is being made possible thanks to the Cecre, therefore reducing the amount of CO2 emissions into the atmosphere and allowing demand to be covered by using variable renewable energies, without jeopardizing the security and quality of supply. 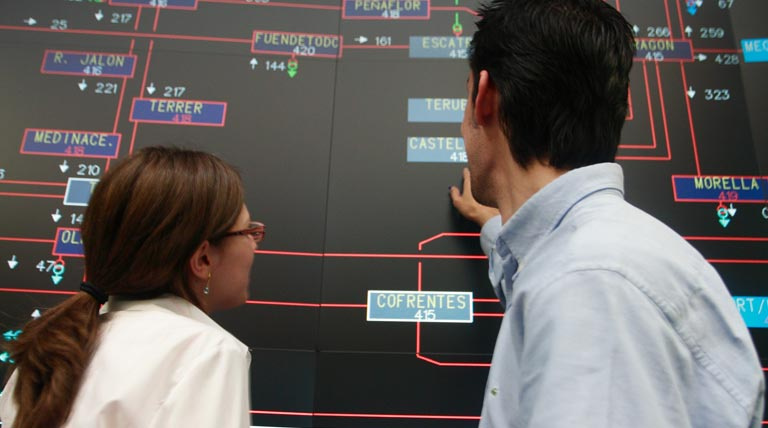 The high number of generation facilities present in the Spanish electricity system, requires secure and efficient communication between Red Eléctrica and the generation facilities, and requires they register and sign up with a Generation Control Centre (GCC). The GCCs receive information from the generation centres who have signed up with them and it is relayed to the control Centre of Renewable Energies (Cecre) and, if necessary, the GCCs relay the orders of the Cecre to the generation facilities to ensure that renewable energy can be safely integrated into the electricity system. 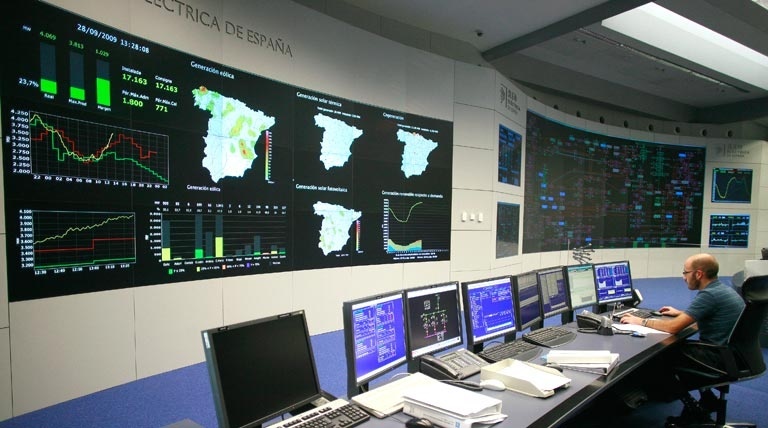 The GCCs must not only have sufficient control, command and monitoring capacity over the generation stations it manages, but also have a suitable connection with Red Eléctrica's control centre. Additionally they must also have a workforce with the appropriate training to guarantee secure communication with Red Eléctrica and ensure the operation of the centre 24 hours a day, 365 days a year. The requirements and obligations of generation control centres is currently set out in paragraph c) of Article 7 of RD 413/2014 and in operating procedures P.O. 8.2 and P.O. 9. Currently RD 413/2014 establishes the requirements necessary to obtain authorisation from Red Eléctrica to put in service a generation facility, and for its subsequent registration in the Government Registry of Special Regime Power Generation Stations. Additionally, operating procedure P.O. 3.2 establishes the criteria for scheduling generation in general and P.O. 3.7 establishes additional criteria for scheduling non-manageable renewable generation. Red Eléctrica publishes through this section, information on the currently accredited GCCs. CECRE control centre generation interlocutors updated to January 9, 2019 (only available in Spanish).